Autumn beckons cozy gatherings by the fire, indulgent meals that spark the most wonderful feelings of nostalgia, and the art of truly taking in your surroundings while bundled to the brim. Everything tends to slow down in the best possible way, and the act of gathering is taken to an entirely new, comfy level. So it goes without saying we love to entertain during this particularly fabulous season. Our measurement of success? When, at the end of the night, the meal and the conversation both feel like warm hugs. That's when you really know you've successfully executed the perfect autumn evening. The perfect fall menu with a few fall favorites. Layers and layers of cozy throws. Or perhaps the perfect bourbon cocktail. 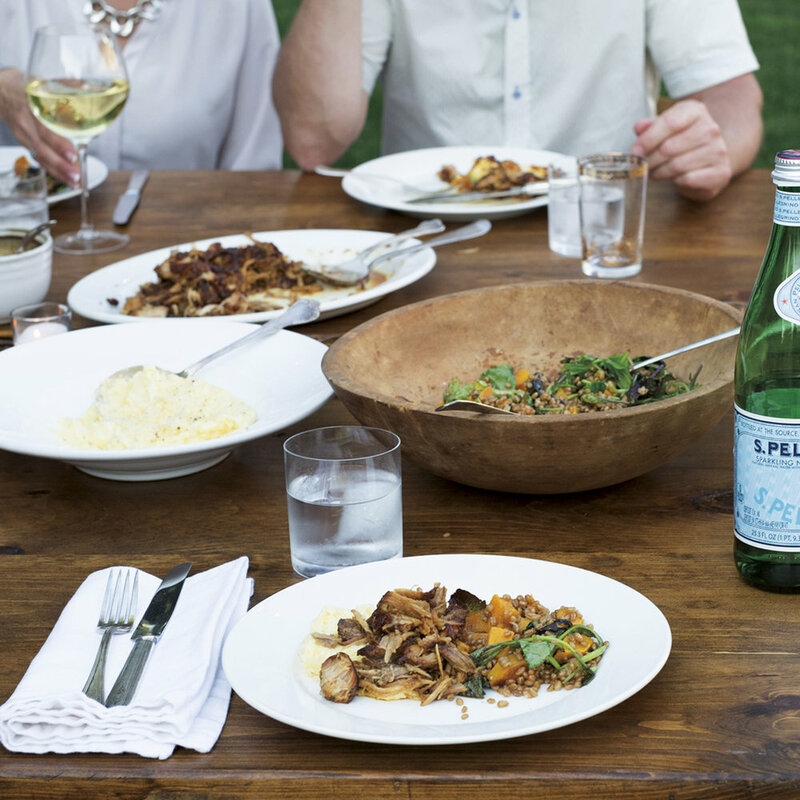 We'd love to hear your favorite aspects of autumn entertaining. Favorite recipes? Activities? We're cozied up with our comfiest throw blanket and are all ears. You can find the entire fall menu in our fall ’15 issue, on sale in the store.